There are many stats out there on New Years Resolutions, but one that always sticks out is that 80% of all resolutions fail by the 2nd week of February. 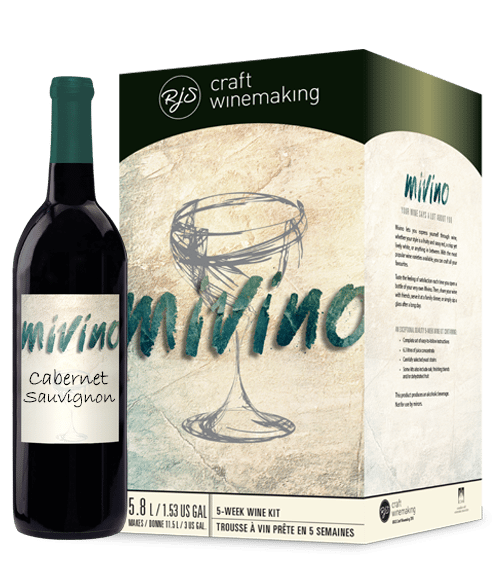 Want a New Years Resolution that will continue to deliver for years to come – try craft winemaking this year! Trying to be more social this year? Craft Winemaking is a perfect group activity! Come try your hand at vinting your favourite wine styles and then throw a party to taste test your creation with perfect pairings! Trying to be more green this year? Craft winemaking allows you to reuse bottles again and again. Not to mention our juices and concentrates are shipped to retailers in bulk, minimizing transportation waste! Want to shop local? All RJS Craft Winemaking products are blended from internationally sourced juices and concentrates in Kitchener, Ontario and sold by independent business owners across Canada and the US! Learn a new craft – Craft your own wine, customize it to your tastes, and design your own labels, expertly guided by our RJS Craft Winemaking retailers. You will be a wine making (and wine tasting) pro in no time! Its healthy! Everyone has heard that a glass of wine a day is known to have health benefits. However, you have better control over the amount of sulphites when you craft your own! Save money! As if you needed one last reason, craft winemaking offers extraordinary value. And, having lots of wine on hand means you can minimize those last minute trips. Don’t procrastinate, get out there and start crafting!